Better is the enemy of good – especially when it comes to extreme precision, meaningful results and the reproducibility of results. That is why we brought the CULTEX® RFS onto the market: the world’s first Radial Flow Solution for cell-based exposure. The likewise patented CULTEX® RFS is a consequential further development and optimization of our technically and functionally outdated CULTEX® linear glass modules. 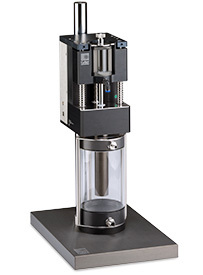 The CULTEX® RFS is defined by the unique radial arrangement of the gas guiding tubes around one sampling point, a new standard for constant, stable and controlled particle flux and deposition in in vitro toxicology at the air liquid interface. The adapter technology, specially developed for the CULTEX® RFS Radial Flow System, allows the use of 6.5 mm, 12 mm and 24 mm Falcon® or Transwell® inserts. In addition, by means of a special adapter for 35 mm Petri dishes, Ames tests for mutagenicity (modified Ames assays) can be carried out easily, quickly and safely. No other exposure system for in vitro toxicology worldwide offers this versatility and flexibility. 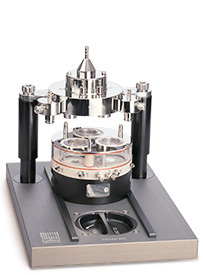 The CULTEX® RFS can undertake up to 3 independent exposures simultaneously. 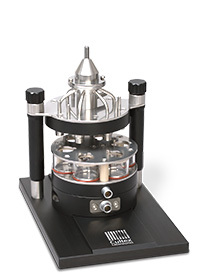 Modular precision equipment for the direct exposure of cultivated mono- and co-cultures such as bacteria (Ames Assay) at the air-liquid interface. 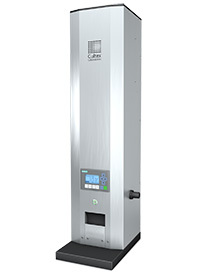 The perfect addition to the CULTEX® RFS (Compact). 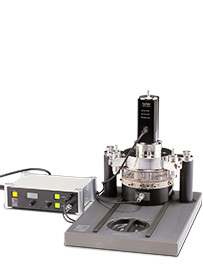 This device offers efficient deposition of particles without interfering with the cell maintenance. The CULTEX® DG is able to provide uniform airborne concentrations of dust for long periods of time. Especially designed for in vitro exposure systems, the CULTEX® DG is able to provide uniform airborne concentrations of dust for long periods of time.